New Arsenal signing Henrikh Mkhitaryan has stated the difference between Gunners manager Arsene Wenger and Man United boss Jose Mourinho. 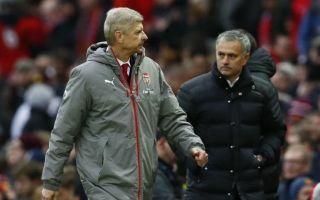 This is according to the Sun, who state that the Armenian international has said that the Arsenal manager is “calmer” than Mourinho and that the United boss “required a lot from the players”. Since coming to England, Armenian Mkhitaryan has failed to register a similar impact to that one that he managed during his time in Borussia Dortmund. In 140 appearances for the Bundesliga outfit, the winger managed to clock up an impressive total of 41 goals 49 assists. 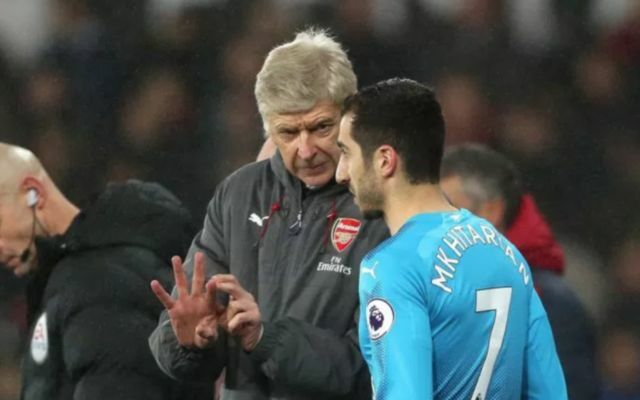 During his time at Old Trafford, the player struggled to adapt to the Premier League and life under Mourinho, as Mkhitaryan was only able to contribute 13 goals and 11 assists in 63 games before he moved on to the Gunners. Despite only making three appearances for the north London side since his January switch, the former Dortmund ace has still managed to collect three assists in that time. It seems as if only time will tell as to whether Mkhitaryan’s Arsenal switch will be the right one for both the player and the club.